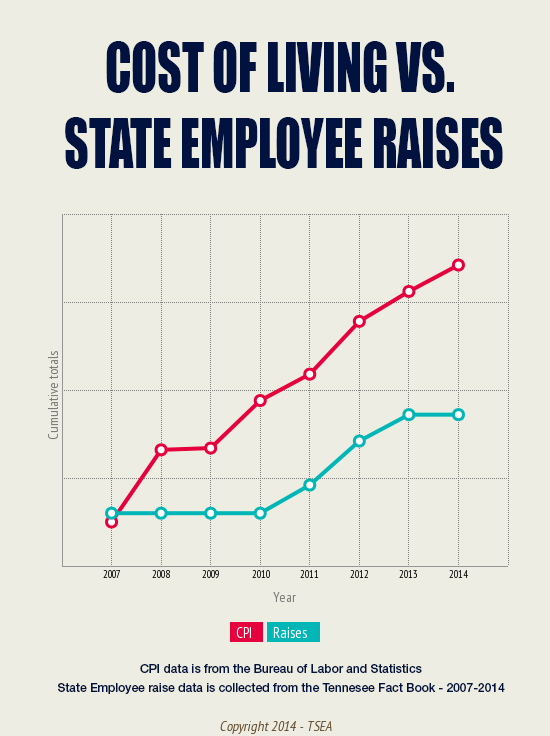 TSEA is working with legislators to find other options to boost state employee pay come July. Earlier this week, Governor Haslam released his budget amendment which cancels the raises he promised earlier this year to state employees, higher-education employees and teachers. State and higher-education employees were originally slated to receive a 1 percent raise beginning in July. But, less than projected revenue collections from sales and business taxes created a $160 million hole in the state budget, requiring the cuts, according to Gov. Haslam. Many members of the legislature are irritated with the Haslam administration over releasing the budget amendment to the media before lawmakers. Legislators have also condemned many of the administration’s proposed cuts contained in the amendment. Public employee salaries and benefits make up 66 percent of Haslam’s recommended reductions. A one-time bonus funded with money from the Rainy Day Fund – in this option, the RDF is spent down by the amount of a one-time bonus. This, we believe, is the more realistic option. Legislators do have the ability to accomplish this and there would be zero fiscal impact on the current budget, or future budgets since a bonus is non-recurring. Legislators say they value state employees. 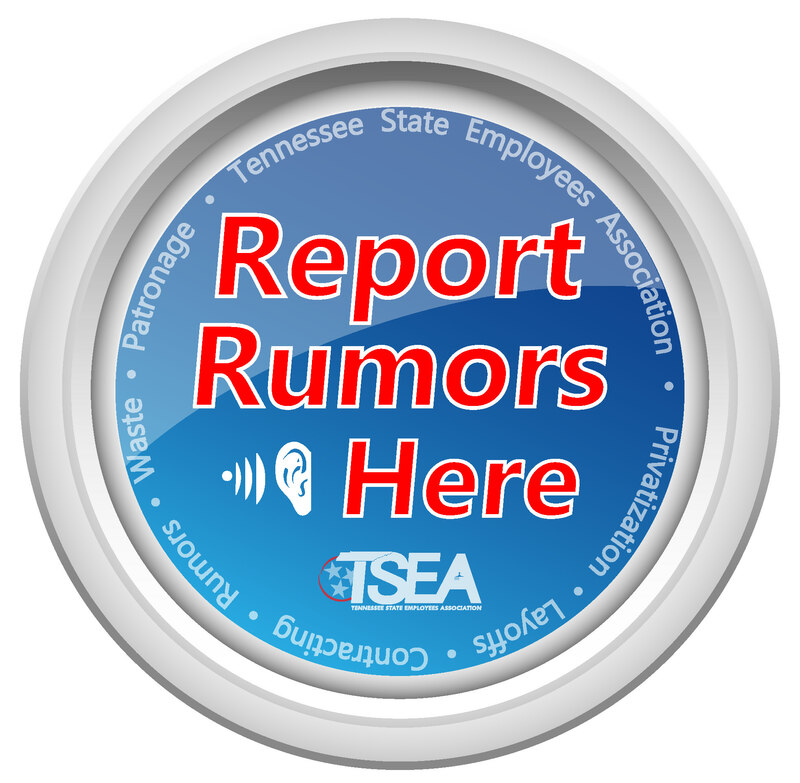 TSEA believes them, and there now exists a good opportunity for legislators to show workers what they can do in light of this recent, unfortunate news. Let them know you support a one-time bonus. Tell them you understand money is tight this year, and remember to thank them for breaking a 4-year cycle of no raises with increases in 2011, 2012, and 2013, as well as last year’s salary study. But, also let them know that, overall, even with the recent increases, state employee salaries continue to lose ground vs. the Cost of Living. Tell them that an increase in employee salaries also helps to stimulate the economy, because employees have more money to spend in the community. Tell them your personal story, how this affects you and your family – after all, they are there to represent you! This legislature has shown they are willing to improve pay for state employees, and TSEA will continue to work with them in the coming days and weeks to find a way to continue that trend. 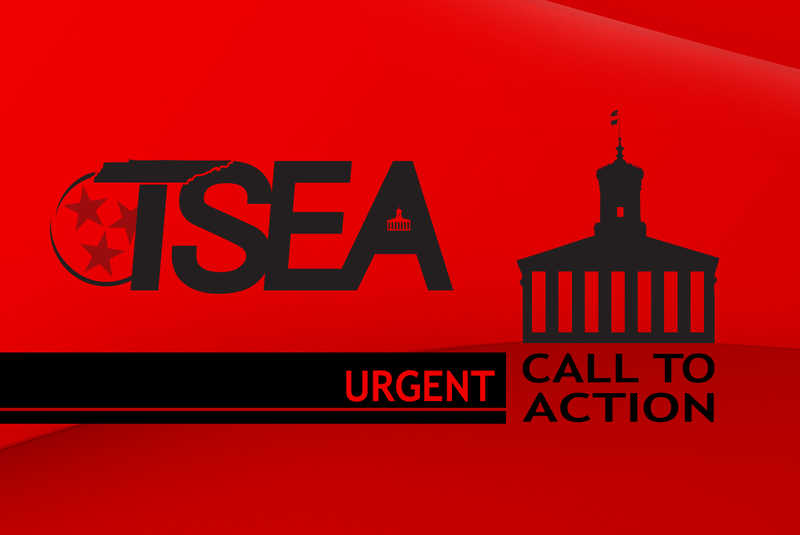 Look for more communications from TSEA as we know the fate of our efforts.